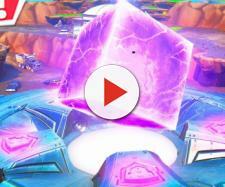 'Fortnite:' YouTube on free V-Bucks scam ads; Epic to have own heroes/villains? A YouTube volunteer recently pointed out the 'Fortnite' scam ad on the platform and requested to have it removed. Epic Games has definitely struck gold with "Fortnite" Battle Royale as the game maker continues to rake in that cold cash. With such success, it is expected that folks with evil intents will exploit it in every way possible as the game's community is all too hyped about its constant introduction of cosmetics. Ben (@TrustedFlagger) – who's a volunteer at YouTube's Trusted Flagger Program recently took to Twitter to reveal some "Fortnite" ads that have been making rounds on the platform that he believes to be just a bunch of scams. Per the volunteer, he claims that the video-sharing website refused to take these ads down for the reason that the company cannot verify if these are fake. He even went on, stating that the website would rather profit from scamming kids rather than keeping the platform safe. These ads can easily lure in "Fortnite's" younger (and unsuspecting) player base as they claim that they give away free V-Bucks albeit the fact there's no such thing. These ads even use photos of known players like Ninja and Ali-A as thumbnails, though these scumbags prefer the latter. I reported this very obvious scam video ad to YouTube and they refused to remove it because they can't 'verify it's fake'. YouTube, on the other hand, responded to @TrustedFlagger and claimed to have removed the shady "Fortnite" ads. However, fans of the game recently tweeted out that these ads are still on the website adding that it wasn't that long before it popped up. Meanwhile, Epic has just teased the fourth and what could be the final hero that will likely be introduced in Season 4 of "Fortnite" BR. That said, speculations about the upcoming season have been making rounds for the longest time, though it's the one posted by u/internetadam over on the FortniteBR subreddit that seems to be the most popular. Per the Redditor, it's Dusty Depot that will be hit by the meteor instead of the infamous Tilted Towers. Contrary to the belief that both Marvel and DC heroes will be gracing the battle royale shooter, the post stated that Epic will be making their own set of superheroes (and villains) come Season 4. The Redditor also added that he wants his spoiler about Season 5 to happen, though he stated that he'll wait a bit longer before he posts about it. However, just days after his Reddit post went live, his account can no longer be found.